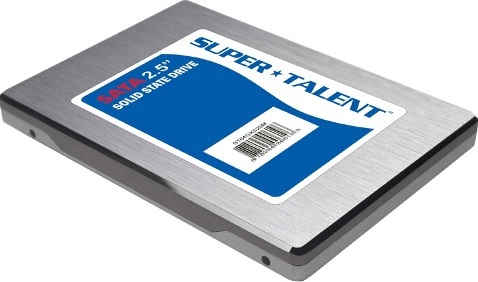 The global leading maker of Flash storage solutions and DRAM memory modules, Super Talent has released a new family of MasterDrive SX 2.5-inch SATA-II SSDs that feature 8-channel architecture combined with 128MB of DRAM cache, supporting up to 220 MB/sec of sequential read speeds and up to 200 MB/sec of sequential write speeds, based on MLC NAND Flash chips, aiming to deliver ultimate performance and reliability. According to Super Talent, the MasterDrive SX sips a 0.5 watt of power in read mode, and 0.15 watts while idle, thanks to its low power efficiency. The Super Talent’s MasterDrive SX SSDs which measures 100.2 x 69.9 x 9.5 mm are now available in 64GB, 128GB and 256GB memory capacities.